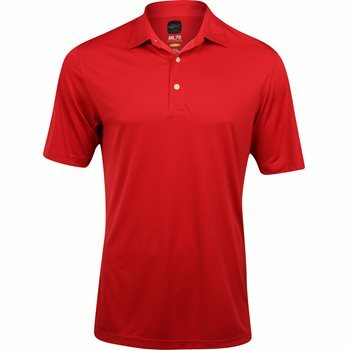 Chest 35"-37" 38"-40" 41"-43" 44"-46" 47"-49" 50"-52"
The Greg Norman ProTek ML75 Microlux Solid Polo features PLAY DRY. This technology wicks away moisture from the skin, transports it to the garment''s outer layer, evaporating into air. You stay cool, dry and comfortable. The technology behind PLAY DRY isn''t simple, but the benefits certainly are. This polo also features ML75 which combines high performance properties with luxury appeal. 30% lighter than the average shirt, its natural UPF and Play Dry moisture wicking ensures comfort and coolness on the hottest of summer days. Play Better, Play Dry.